A new British classic custom, with Bonneville character, engineering and design DNA throughout, and a whole new level of laid back custom style. This is the new Triumph Bonneville Speedmaster. The latest addition to the Modern Classics family delivers all of the Bonneville’s unique combination of modern capability and technology, with timeless classic style, and is the perfect starting point for you to create a Speedmaster tailor made to your riding style. There are two inspiration kits to show off the Speedmaster’s breadth of character, and to inspire riders who want something even more unique – these can either be fitted as a complete kit or just provide the starting point for you to create your own custom Speedmaster with our easy to use configurator. If you want your Bonneville Speedmaster to adopt an even more stripped back look with more of the Bobber’s mean attitude, the Maverick Inspiration Kit is the perfect addition. The meaner attitude is delivered with the addition of flatter, lower black handlebars, as well as a pair of Black Header Covers and Black Twin Skin Exhaust Silencers specially designed by Vance & Hines to deliver a distinctive exhaust note. The inspiration kit also contains an exquisitely finished brown quilted single rider seat that sets off the classic styling of the Speedmaster. 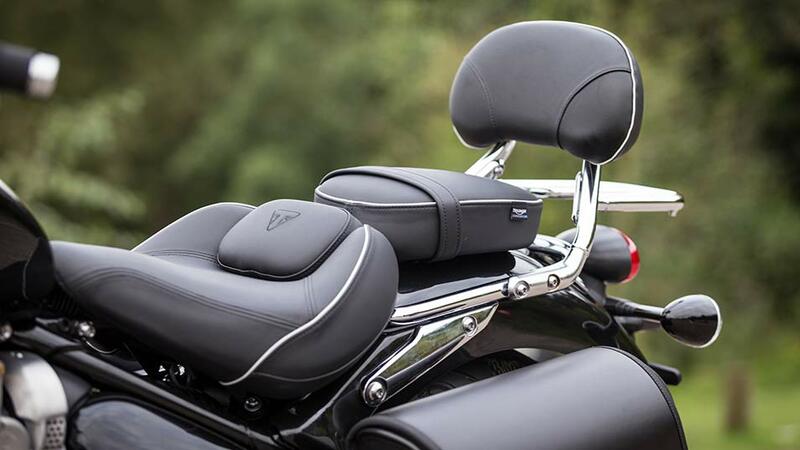 Also included is a Black Rear Mudguard Finisher, that replaces the original passenger seat, as well as a Grab Rail Removal Kit to give the rear end of your ride that streamlined, single seat set-up. A Black Machined Oil Filler Cap finishes off the new British classic custom’s stripped back, lean and mean style.